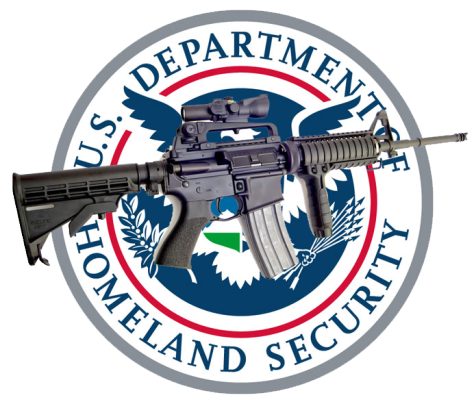 The budgets for these agencies were combined to create the Department of DHS. Can you even imagine how large this budget is ­ given that they are now buying heavy weapons, tanks drones and billions upon billions of bullets, in addition to trying to train an army larger than the entire US Military? Remember: We have retained the Department of Defense, thousands of security services agencies, and a handful of minor departments (compared to this behemoth). Think very carefully about this and you might wonder why we have any other departments in this so-called government at all? The chart above comes from the DHS website. Here are just a few of today’s stories from CLG News. “Navy Yard shooting: SWAT team ordered to stand down, leave scene --No answers given --'[They] haven't even been given the courtesy of a debrief.' 19 Sep 2013 Members of an armed police squad who the BBC has learned were ordered not to respond to Monday's mass shooting in Washington DC have yet to be contacted by the authorities. The Capitol Police tactical response team was told by a supervisor to leave the scene instead of aiding municipal officers, sources told the BBC. Officials on a special investigative panel convened on Wednesday have yet to approach team members. Gunman Aaron Alexis [allegedly] killed 12 people. "No-one's talked to these officers since this happened," a Capitol Police source close to the incident told the BBC. False flag unraveling at lightening speed: Radios 'failed' during Navy Yard attack, emergency responders say --Initially, officers found that their radios were working. But as they ventured deeper into the building where the shooting took place, their equipment stopped functioning. 19 Sep 2013 Radios for federal firefighters and police officers 'failed' during Monday's mass shooting at Washington’s Navy Yard, according to union representatives for first responders. Union officials said police and firefighters resorted to using their cellphones and radios from D.C.'s emergency responders to communicate with each other during the attack. Anthony Meely, chairman of the Fraternal Order of Police Naval District Washington (NDW) Labor Committee, said police officers who were first on the scene at the Navy Yard had trouble communicating with others in the force via their radios. US missed 'red flags' about gunman 19 Sep 2013 US Defense Secretary Chuck Hagel acknowledged authorities missed some "red flags" that might have averted a deadly shooting rampage at the Washington Navy Yard, vowing to close any gaps in security. Hagel made the admission in the wake of Monday's massacre that left 13 dead, including the shooter, as details emerged of the troubled former sailor turned contractor who gunned down civilian workers at a naval installation in the heart of Washington. "Obviously, when you go back in hindsight and look at all this, there were some red flags, of course there were," Hagel told a news conference. "And should we have picked them up? Why didn't we? How could we have? All those questions need to be answered." Contractor that screened Snowden also vetted alleged Navy Yard shooter 19 Sep 2013 The government contractor that screened Edward Snowden also was responsible for a background check that granted "secret" security clearance to Aaron Alexis, the alleged Navy Yard shooter. USIS, a private company based in Falls Church, Va., said on Thursday that it had vetted Alexis in 2007. The security clearance he subsequently received in 2008 was good for ten years, until 2018. A USIS spokesman declined to say what Alexis' background check revealed, although government officials have said it turned up a 2004 arrest in Seattle for malicious mischief. 2A) FEMA Just Bought 72 Hr Survival Kits For Every Student In every School In The U.S.